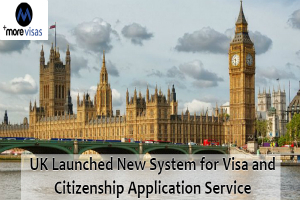 On the 23rd Oct 2018, the UK Home Office issued additional information the latest streamlined Visa and Citizenship Application Service (U.K V.A.C.S) which was outsourced by Sopra Steria. The UK Government is planning to release further details about this service. •	Set to substitute the current submissions of in-person and postal applications. •	Reliance on technology, along with online application forms, submission of digital document and appointments of biometrics. •	While the appointment, passports will be checked automatically, their details of bio-metric captured, and copies of the candidate's documents for supporting their profile can be digitally uploaded. The candidate will normally be able to hold their original passport while the processing the application. •	Meetings at the following cities will be available: Birmingham, Manchester, Cardiff, Glasgow, Croydon, and Belfast. 50 regional ‘user-pay’ service centers will be in libraries and a fresh premium service center will be accessible in central London. •	The new centers are fixed to begin allowing an appeal from 5th Nov. While the Nov month implementation period, and the current system will continue to be operational. •	The UK Home Office has promised that the new system will be further flexible and present extra premium services which are on-demand (earlier Super Premium) and the services of mobile application, for eg., at university campuses, organizations offices or homes of individual customers. •	Seven dedicated Centres for Service and Support (S.S.C's) will offer open appointments for those deemed vulnerable or require Further assistance, from Jan 2019. UK Home Office will release more details about this service in soon.